As a part of our OH&S requirements, our team attended Real Response First Aid yesterday to obtain/refresh their First Aid qualifications. The @real_response course is practical, interactive and engaging training. 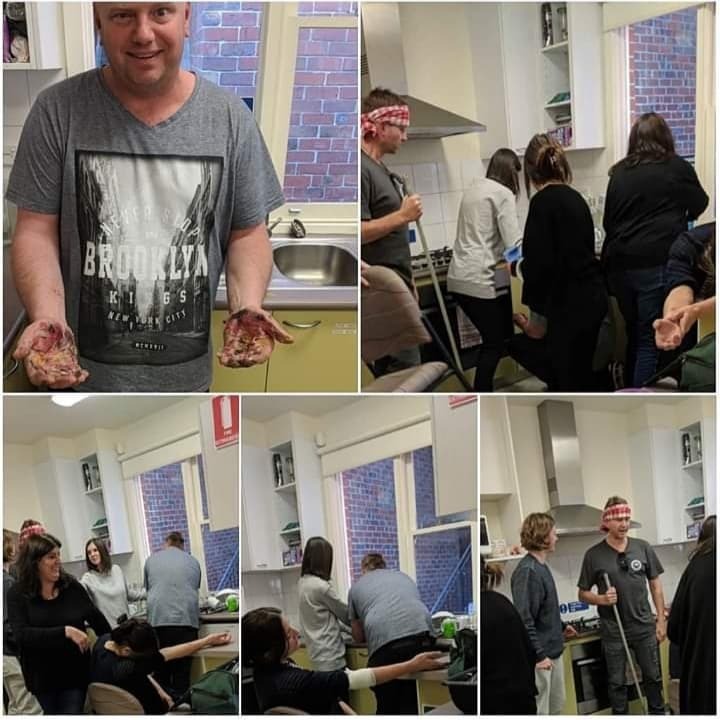 The guys volunteered for different scenarios, including seizures, aggressive behaviour and this one where they were drug dealers in a meth lab, where Brendan suffered severe burns. By far the best First Aid training they have experienced.